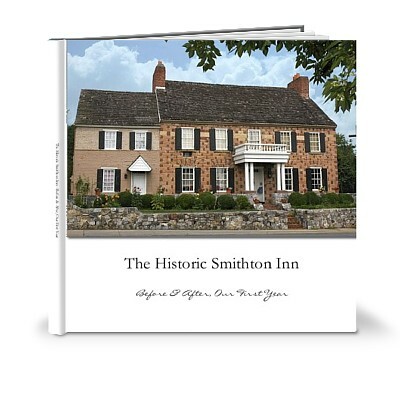 June is a big month in the history of the Historic Smithton Inn. Historic records show that the current-day stone structure for the Inn was completed in June of 1763 (prior to that, there had been a wooden “primitive structure” on the site). And on June 23, 2009, we took over as innkeepers for the Smithton, becoming only the third “family” to own the property!! Samuel D. Erb: 1906 – ?? It seems appropriate that we share our “Anniversary Weekend” with a festival 100% suited to a family with the name of GALLAGHER! This weekend (June 25 – 27) is the annual Celtic Fling & Highland Games on the grounds of Mount Hope Estate & Winery, just 17 miles from the Smithton Inn. Friday night, the band Young Dubliners will be the opening act, followed by fellow Celtic rock band Enter the Haggis. In addition to live music (traditional and rock) there will be food, drink, games and cultural activities. For more information or to by tickets, visit http://www.parenfaire.com/ or call 717-665-7021, x.231. So the Gallagher “Clan” in Ephrata will be doing some celebrating this weekend, including a bit of looking back to see how far we’ve come in the last year. If you’re interested to see what changes and updates we’ve made in the last 12 months, you can check out the Shutterfly book we’ve put together with some ‘before and after’ shots throughout the entire property, including the basement and 3rd floor owner’s quarters. So many friends, family members and local contractors played a role in making this last year a success… not to mention the incredible guests we’ve had the opportunity of hosting along the way… to ALL of you, Thanks!! Ephrata Cloister Goes High-Tech with Cell Phone Tours — Name The Room Challenge Results are In… And the Winner Is….